The Cornwall Garden Society’s (CGS) December lectures will be delivered by Jonathan Webster. Having grown up on the Isle of Wight, Jonathan carried out his apprenticeship at Ventnor Botanic Garden and Cambridge University Botanic Garden. A private estate in Hampshire beckoned followed by RHS (Royal Horticultural Society) Garden Wisley where he worked for the woody plants collection and in plant trials. 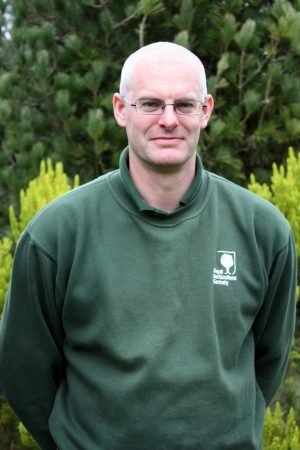 In 2005, Jonathan relocated to RHS Garden Rosemoor as Garden Manager and in 2010, became Garden Curator there. RHS Rosemoor: The Seasonal Delights of a Plant-lovers’ Paradise will be his subject on Tuesday 4th December at 7.30pm at the Alverton in Truro, whilst RHS Rosemoor: Seasonal Delights and Winter Wonders will be his focus on Wednesday 5th December at 2.30pm at Shire Hall in Bodmin.